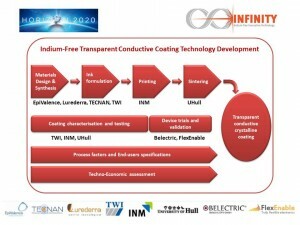 “INFINITY” PROJECT PROPOSES AN INNOVATIVE APPROACH TO TRANSPARENT CONDUCTIVE COATINGS – TECNAN-NANOMAT "Think big, Act Nano"
The INFINITY european project, “Indium-free transparent conductive oxide coatings for glass and plastic substrates”, is focused on the development of novel inks for transparent conductive thin coatings that are used in a variety of optoelectronic devices including flat panel displays, and photovoltaic cells. Currently, indium tin oxide (ITO) is the most commonly used material for these applications, however indium is a scarce and expensive element. 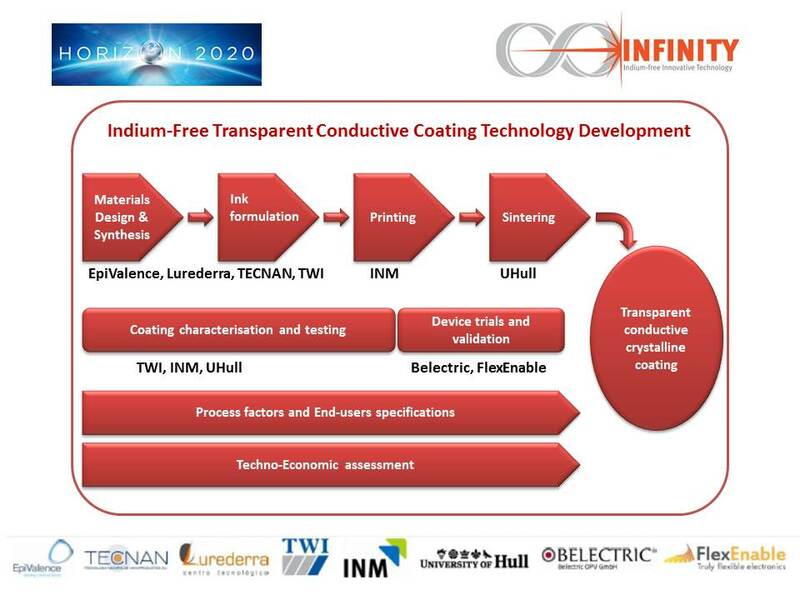 Therefore the two main objectives of INFINITY are to (1) develop indium-free oxide coatings with similar electrical conductivity and as high optical transmission as ITO coatings and (2) deposit these coatings and patterns by a direct, cost-effective printing process. To achieve these goals, INFINITY will develop inks with nanoparticles of two chemical compositions: doped zinc oxide and doped titanium dioxide. 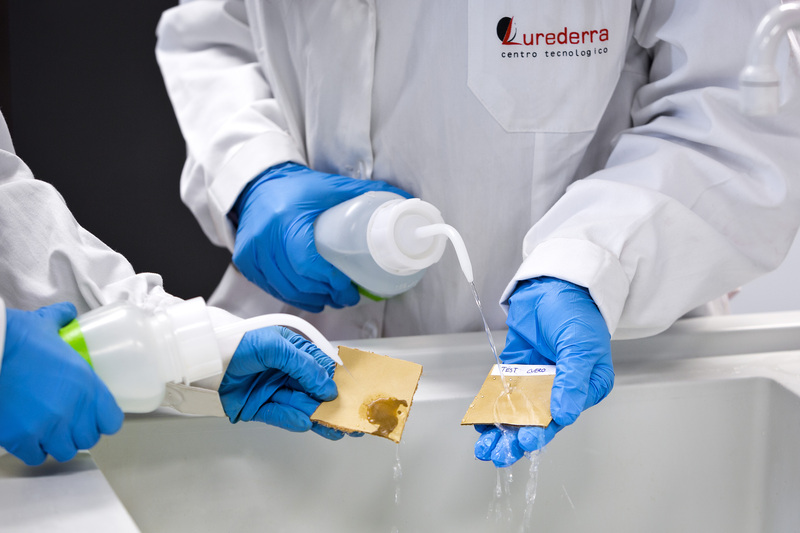 The nanomaterials will be synthesised by an innovative sol-gel method, employing specifically formulated precursors. Then, these novel inks will be modified and adapted to enable the use of printing techniques such as gravure and ink-jet printing thus enabling direct writing of multi-layers and patterns whilst avoiding the waste associated with existing etch patterning processes. A novel laser-based approach will be used for low-temperature sintering of the printed conductive coatings, thereby allowing not only glass but also plastic substrates to be used. This will allow for a wider variety of end-user applications, ranging from displays to solar panels to organic photovoltaics and energy harvesting by smart windows. INFINITY is a 3 year research project funded by European Union’s Horizon 2020 research and innovation programme under grant agreement No 641927, and it brings together European experts from all aspects of the fabrication supply chain. The following scheme shows the planning and the main responsible partner of each stage of this Project.